New York City's Hotel 50 Bowery has been open for just over a week, but the 229-room boutique hotel is already ruffling feathers in the city's Chinatown neighborhood. According to DNAInfo, the hotel, which homages Chinatown's history and culture, is also home to an "opium den-themed parlor lounge" called The Green Lady. Scheduled to open this summer, the lounge will host live music and entertainment below the hotel's 220-seat Rice & Gold Asian restaurant. Despite also housing a 1,500-square-foot exhibition from the Museum of Chinese in America (MOCA) called "The Heart of Chinatown" and hallway art from Beijing graffiti artist Dake Wong, the terminology used to describe the lounge's theme has clouded the hotel in controversy. 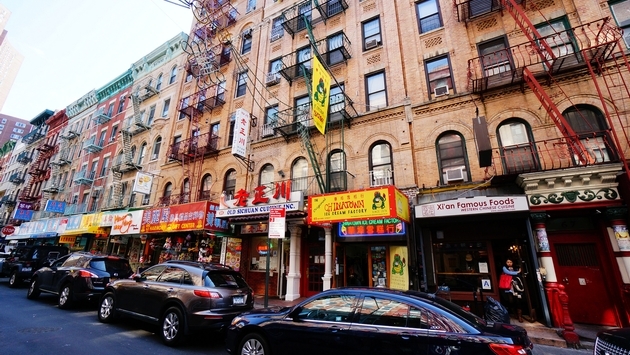 Chinatown activist Karlin Chan wrote in the Bowery Boogie that the den has "spurred anger among many former and current residents." "It's ironic that a hotel honoring the neighborhood would allow a business to highlight a negative stereotype within," added Chan. However, it appears San Francisco-based chain Joie de Vivre and developer Chu Enterprises had only the best intentions. "The use of the phrase was originally used to describe the portions of decor found at The Green Lady, the hotel’s cellar-level lounge. We’ve since moved away from that language, and communications should have been updated sooner to reflect the 30s era Shanghai China theme that has been decided on for the space," the hotel's public relations company Wagstaff Worldwide said in a statement. "The hotel recognizes the sensitivity around the phrase, has removed the descriptor from all communications, and apologizes for using it." Chef Dale Talde, who is overseeing the food and beverage offerings at the hotel, blamed Wagstaff and the design team for the mishap. "That never was the intent. The PR team for the hotel and the design team for the hotel are the ones who did this," Talde told Eater. "We never even mentioned opium den once in design meetings." With the exception of the poor word choice, all indications are that the hotel aims to cast Chinatown and its people in the best possible light. "Through the mixing of gritty New York industrial materials and finishes, with subtle nods to Asian heritage, the hotel reflects the unique story that the neighborhood itself tells," senior designer and associate of decor company Wimberly Interiors Rebecca Weinstein told DNAInfo.